within our limited discounted room block. The deadline for discounted room block reservations was 2 June but you may still Reserve your accommodations at the Wyndham Hotel You may call: 1-800-996-3426 and ask for the Group Name: IASD 2017 International Conference to see if they can still give you a discounted rate. If need be you can ask for assistance from Darleen Kashiwada the Conference Service Manager 714-867-5125. 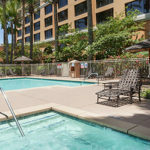 The Wyndham Anaheim Garden Grove and conference center is the best lodging choice for discounted rooms and ease in getting to the conference events on time. A limited block of 150 discounted rooms has been reserved, so it is best to book early for the best chance of staying on site. 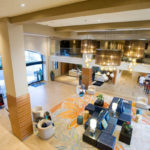 We also have secured the discounted rates for 3 days before and after the conference for those who want to make this a Southern California vacation or trip to Disney and other attractions and theme parks or beaches in the area. Note that we are securing discounted tickets to Disneyland for 21 June (details pending). RATES: Discounted room rates are $150 for Single, Double and Parlor Suites (4 persons) plus $10 for additional persons, exclusive of taxes (currently at 14.50%) and hospitality service fee. 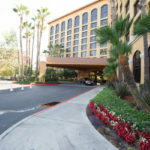 The hospitality service fee of $10.00 per room / per day includes: local telephone calls, self-parking, in-room and all public areas high speed internet access, business center, pool and fitness center access, and shuttle service to and from Disneyland. Please double check on your rate and lodging terms when you register.